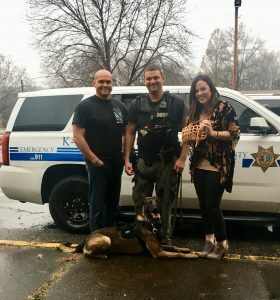 Upon request Deputy Joe Seegars and K-9 Rex of the Berkeley County Sheriff’s Office received a tracking harness and a muzzle that will ensure safety for both the K-9 and the Handler while working and/or during training. Designed by: ELRODesign. Powered by Divi.